We talk about rivalries all the time in sports. Yankees-Red Sox. Lakers-Celtics. Cowboys-Redskins. But every once in a while, in a rare scenario that’s becoming even less common over time, there’s a rivalry that crosses social boundaries. In such rivalries there’s not just a dislike between fan bases for the teams they support, there’s hatred for what “that other team” stands for. Rivalries like these are a little more common at the international level; even 20 years after the end of the Cold War, United States vs. Russia hockey games still hint at a battle for both athletic and ideological superiority. There isn’t a word in the English lexicon that captures the depth of these rivalries, but there should be. That word would also describe the sentiment between Real Madrid and Atlético de Madrid, both playing in the Spanish Football League, known as La Liga. Sure, the two teams are natural rivals because they both represent the same city. However, this barely tells the story. In the rivalry between Real Madrid and Atlético de Madrid – hereafter referred to as Real and Atlético – you have social class differences that have been officially eradicated for hundreds of years but never completely disappeared from Spanish culture. The implication of socioeconomic differences between the two teams is, for starters, found in Real Madrid’s name. Real is Spanish for royal, and this is the team that represents Spanish royalty. Real is the more famous of the two teams and they are also the team with all the money, talent, glamour, brand recognition, and all of the upper class in its favor. 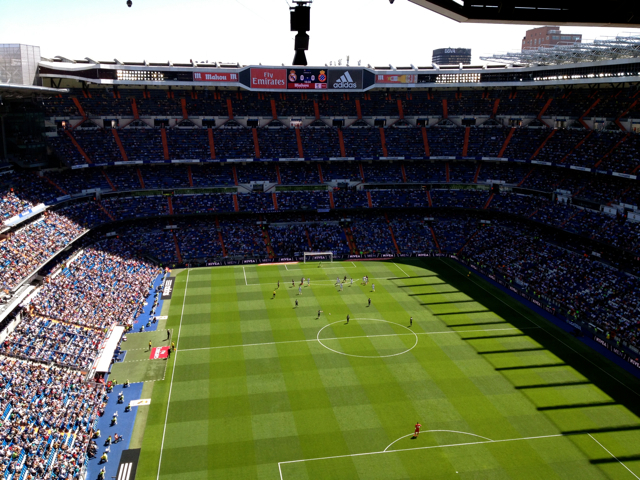 It is the team whose jaw-dropping stadium, the Bernabeu, looks like a cathedral built on an unlimited budget. It is a team not just known as Real Madrid but also as los Blancos, reflecting their pristine home white uniforms. It is a team whose star, Cristiano Ronaldo, seems to care as much about his image for the TV cameras after scoring a goal as he does for scoring a goal in itself. It is a team whose fans watch attentively but quietly, offering polite applause when something happens in their favor but nothing so raucous as to undermine their elitism. Real’s lack of homegrown players adds to the snobbery. Ronaldo isn’t Spanish, he’s Portuguese, and neither is Real’s next best player, Gareth Bale (Welsh), nor its coach, Carlo Ancelotti (Italian). As many Atlético fans see it, for Real nationality is irrelevant and the team is not a team but rather a collection of players whose strongest similarity is their talent and fat paychecks. Atlético, however, is the underdog squad embraced by the common man. 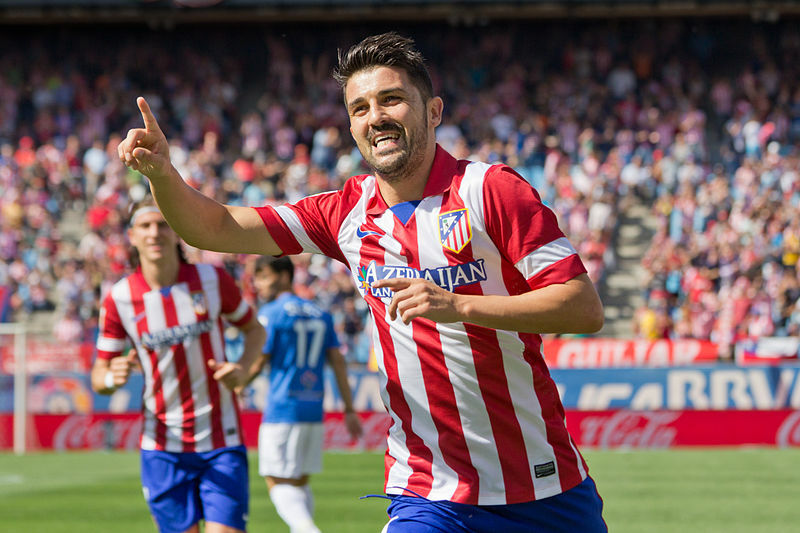 You might even call Atlético a band of rebels vying against their Royal Madrid counterparts. This is evident in the Atlético uniform. It’s as if the team took the untarnished white uniform of Real and disdainfully sprayed on blood-red stripes, then added an array of other colors – blue shorts, yellow socks – as if stating it will gladly wear any color but the smudge-less white of the rich snots across town. Its coach, Diego Simone of Argentina, might not be Spanish, but at least he had a long run in La Liga with, among other teams, Atlético. Its star is Diego Costa, whose tireless motor and relentless pursuit of the ball perfectly suits the blue-collar Atlético fan. And while also not a native Spaniard, his background nevertheless perfectly fits Atlético; born in Brazil, the dual citizen enraged his home country by swearing Spanish nationality last October. He was quoted as saying he had a difficult time choosing “between the country where you were born and the country that has given you everything.” This rebel found his home in Atlético. 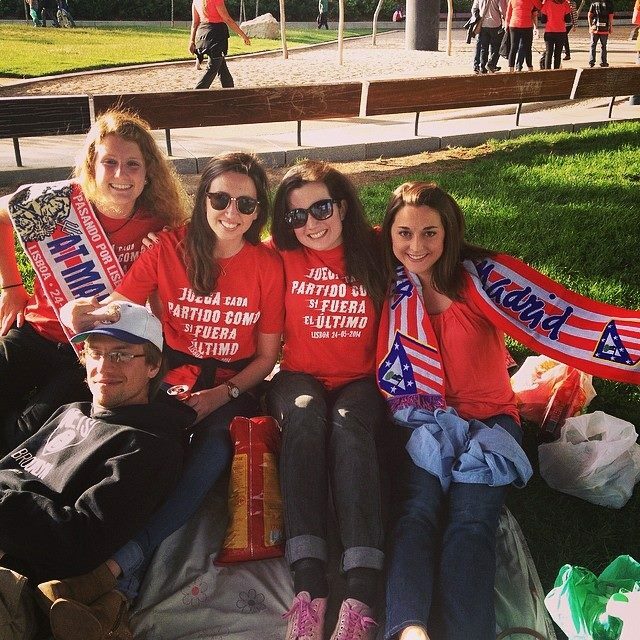 Atlético is a team whose fans embrace passion over brand and image. Many fans engage in heavy pre-gaming before match time, littering the streets outside the Vicente Calderón stadium with glass bottles and aluminum cans, and you get the feeling that’s how the fans want it. 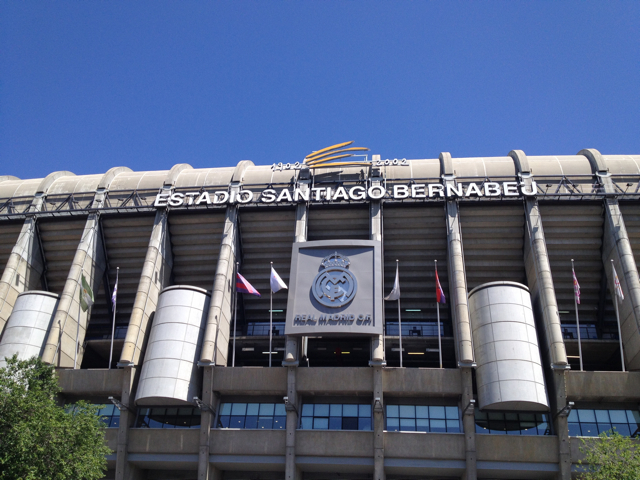 Once inside, the stadium – located in the heart of Madrid, as opposed to the Bernabeu’s more isolated setting in the ritzy north – is big but not overstated. Fans don’t clap so much as roar when momentum swings even the slightest in their favor. And if you have any doubt of the exuberance and raucousness of Atlético’s fans, wait until their boys score a goal. The hatred comes mostly from the Atlético side; the majority of Real fans instead view Atlético as unworthy of the rival status garnered by their more respectable equal, FC Barcelona. Atlético is a mere annoyance, only occasionally offering an obstacle to Real’s rightful place atop the throne of La Liga. This year, Atlético did more than that, winning the league for the first time in 18 years. Hang around Atlético fans long enough, and their spite for Real will surely come up. I once was wearing a Real hat after Atlético had just beaten los Blancos, and an Atlético fan came up to me, flashed a team towel six inches in front of my face and screamed, “Real Madrid es nadie! Es nadie!” Translation: “Real Madrid is nobody! Nobody!” When I first watched Real jog out of the tunnel at Atlético’s stadium, I got visions of an iconic American Revolution pre-war scene; Paul Revere galloping across town hollering, “The British are coming! The British are coming!” as the royal British troops march into town in perfect formation and spotless, singularly colored uniforms. The analogy doesn’t extend to the point of all-out rebellion, but in a country whose history has been consistently scarred by commoner uprisings, a rebel-versus-royal feel is always present when these two teams square off. So, let’s say this rivalry interests you; which team should you pick? 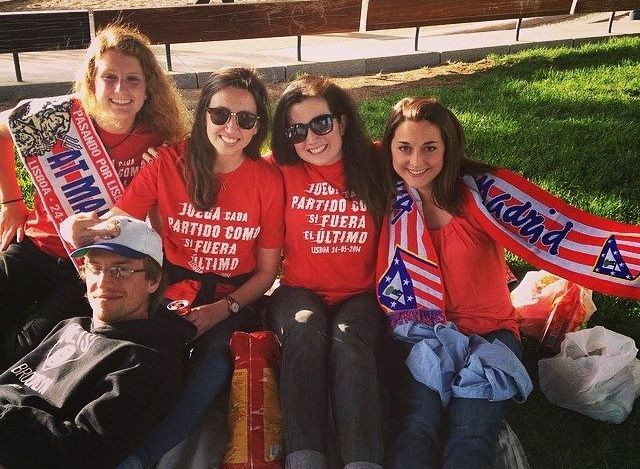 As a less knowledgeable fan before I arrived in Spain, I barely knew of Atlético’s existence. 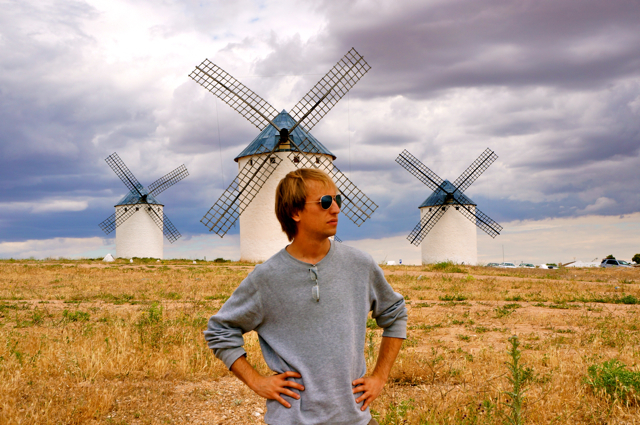 So when I found out I would be placed in Madrid for a year as an English teaching assistant, I jumped onto the Real bandwagon merely because of its familiarity. But if I could do it over again, I would pick Atlético. The team and its fans exude passion, energy and that underdog mentality that you can’t help but appreciate. Sure, they fall short of Real Madrid more often than not (although not in La Liga standings this year), but Atlético is the team built on chemistry and pride; Real’s pillars are money and talent. That said, I have always prided myself on being a loyal fan, so I will now never stray from los Blancos. But that doesn’t mean I can’t appreciate both sides of a rivalry whose depth I won’t often see in this lifetime. Note: The following is a guest post from Paul Montana. Formerly a sports journalist in Virginia, Paul recently took his passion for sports to Madrid, Spain, where he spent a school year teaching and learning the ins and outs of the Spanish Football League. Follow him on Twitter @PaulMontana. Wondering where to stay in Madrid? Visit HotelsCombined to find great accommodation for the best price.